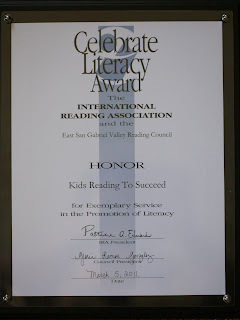 On March 5, the California Reading Association (East San Gabriel Valley Council) honored Kids Reading to Succeed with its Celebrate Literacy Award. The award was presented to KRS at the CRA’s annual literacy brunch and awards ceremony at the historic Castle Green Hotel in Pasadena. 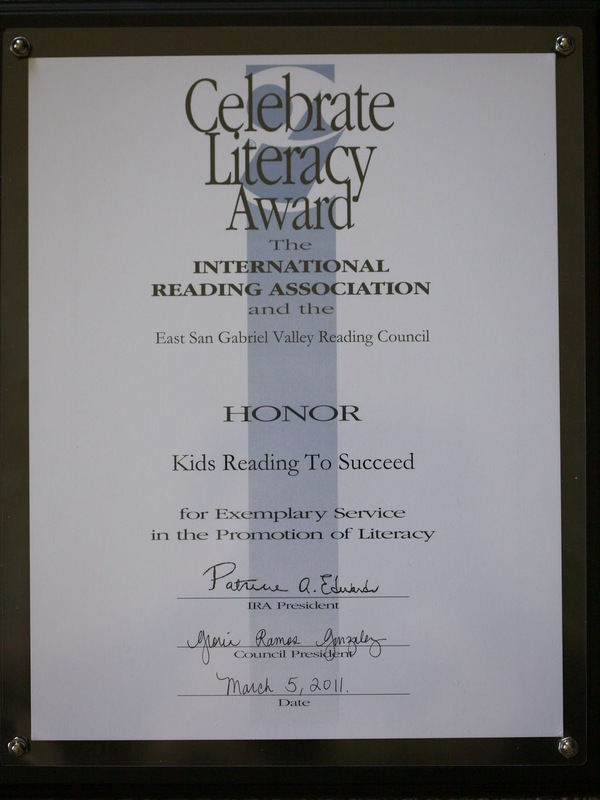 The Celebrate Literacy award was given to KRS for its work in developing reading programs for underserved and low income children in the Pasadena area. In attendance at the awards ceremony were numerous local children’s authors. KRS has invited some of these authors to speak at an Author’s Day planned for September 10, 2011. Also, in March, the Pasadena After Hours Rotary awarded KRS with a Lefler Grant which enabled KRS to purchase $900 worth of new books for KRS' reading programs. 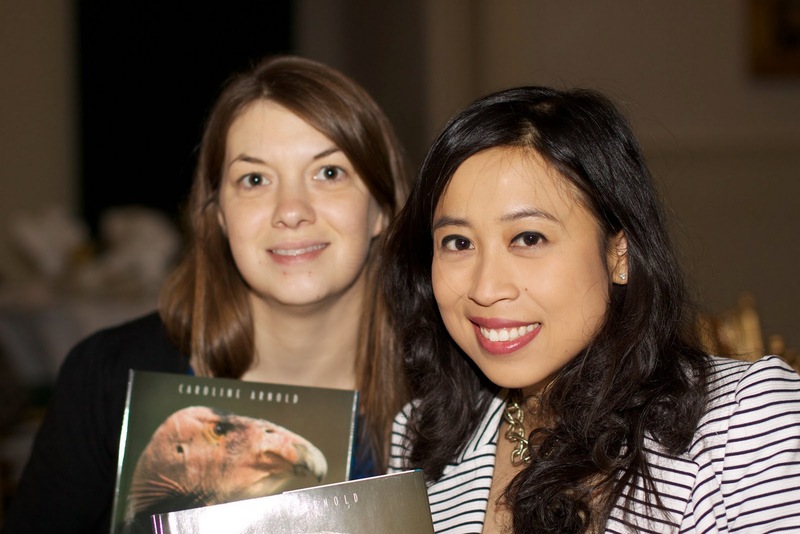 The books will go a long way to supplementing and building libraries for KRS' reading sites. 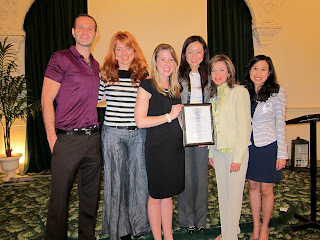 Thank you to the California Reading Association and the Rotary for honoring KRS and recognizing its work in teh community!